Claim: this is a photo of a soldier returning from World War II. The claim is false. 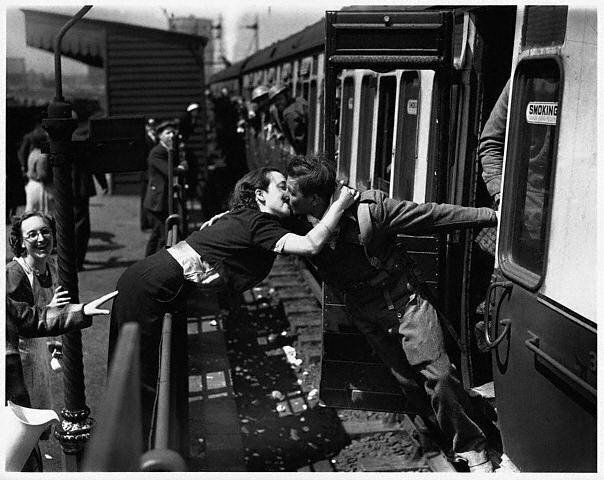 The original caption from Getty Images: “A soldier of the British Expeditionary Force, arriving back from Dunkirk, is greeted affectionately by his girlfriend“, May 31, 1940. Apparently many historical “fact” accounts believe that all photos featuring returning soldiers and their girlfriends automatically means some war has ended. You can read more about the Battle of Dunkirk on Wikipedia.